"As a child in the 1950s, RNIB to me meant braille books with ‘printed and published by the RNIB, 224 Great Portland Street, London’. It meant braille writing frames, the Taylor frame for doing our sums, braille playing cards, dominos with bumps instead of holes and very large talking book machines. Like many other organisations, RNIB has moved forward and now produces more books in different formats, more sophisticated equipment and gives support to visually impaired people who feel the bottom has fallen out of their world after diagnosis. 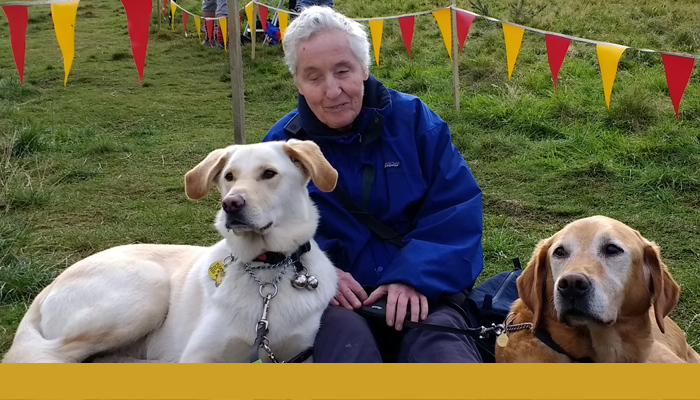 RNIB has supported those with sight loss to have faith in themselves, so we can ‘take on the world’ just like our sighted peers. We are encouraged to take part, rather than spectate in sporting activities, and through the use of magnifiers, use whatever residual vision we may have."